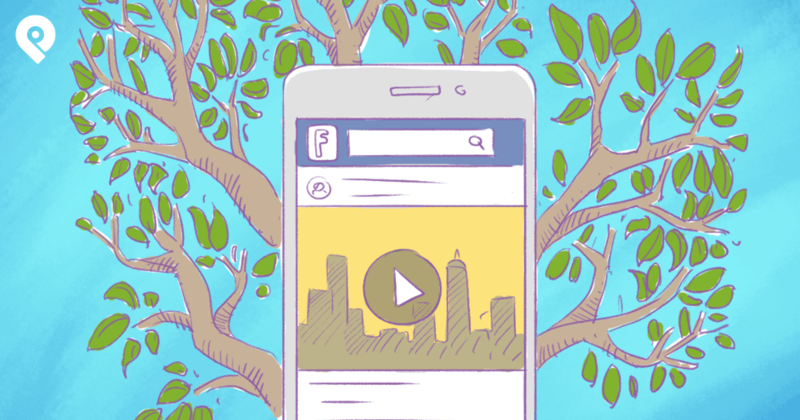 You're on Facebook because you want engagement, right? But you don't want engagement purely for the sake of engagement. You want it because an engaged Facebook community translates into more leads, more customers & more sales for your business. 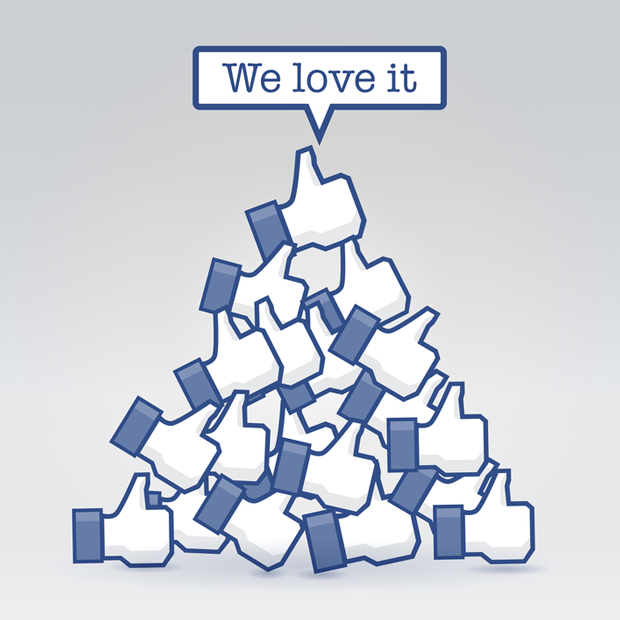 But how do you get more engagement on your Facebook page? And you can also run promotions. But you need to choose the promotion type that fits best with your goals. 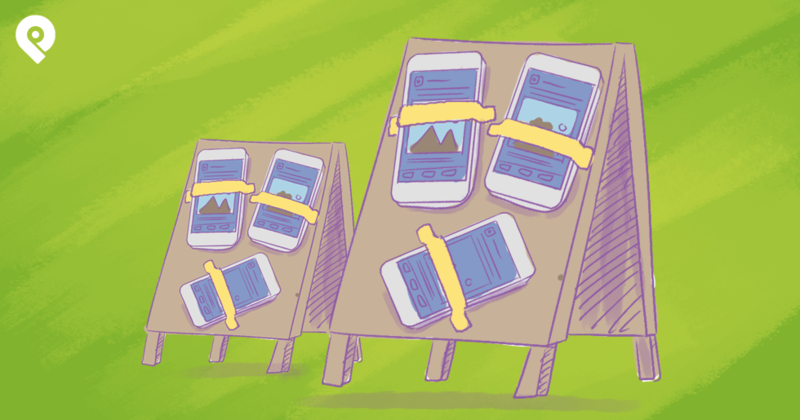 Certain promotion types work better for certain goals and certain industries. 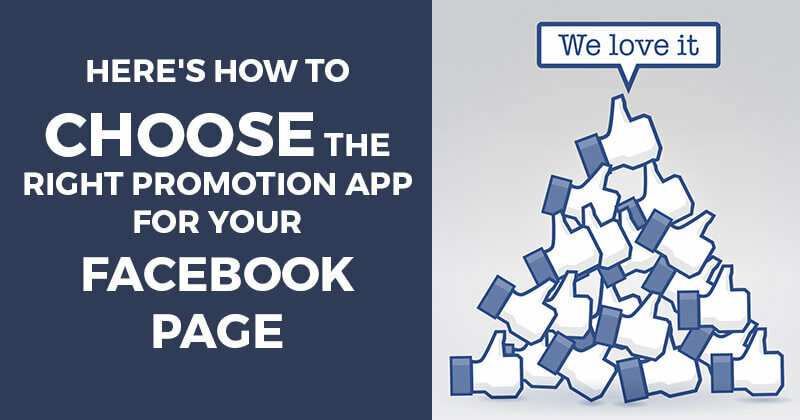 Below I'll outline a number of promotion types and offer tips on how to select the right one for your Facebook Page. 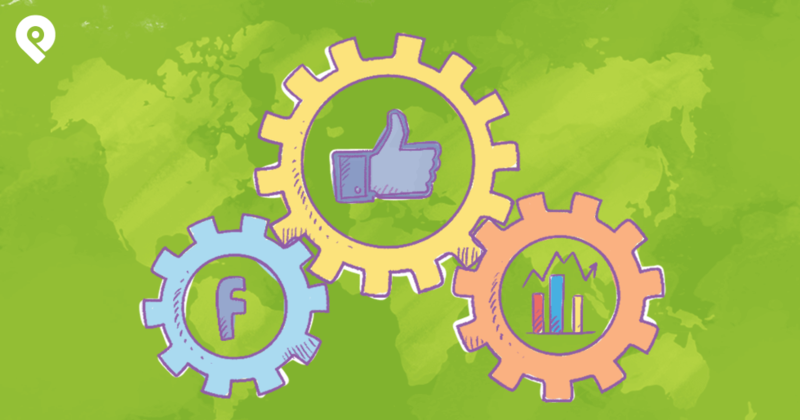 Each type can draw fans to your page and incentivize them to explore and engage with it. And each type is a Facebook approved tab app that complies with Facebook's promotion policy. A sweepstakes is a chance-based, easy-entry promotion that fans enter by completing a simple form with their name & e-mail. Winners are drawn randomly after a set date. As with most Facebook promo apps, a sweepstakes can be a "Like-gated" so fans have to Like the Page in order to access the entry form. If you run a sweepstakes, you can limit each fan to a single entry or allow fans to enter repeatedly. I recommend allowing fans to enter daily because it ensures the most continued engagement -- it incentivizes the fan to return to the page day after day. A deal or offer is another promotion type with a low barrier to entry. For example: "Like our Page to access this 40% off Coupon"
Other examples (and app offerings) include (1) sharing a post on your Facebook news feed or (2) sharing a post on a friend's timeline to access the deal. A contest is different than a sweepstakes or a deal in that it requires more effort & skill from the fan to enter. For example, the fan has to take a photo that meets certain requirements to enter. 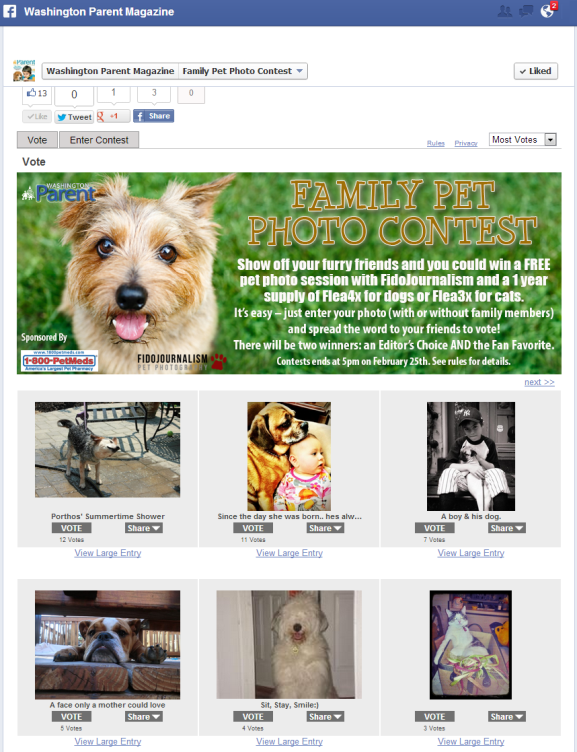 While photo contests are the most common type of contest on Facebook, there are other types too, like videos, essays or photo captions. Contest entrants engage via their entries, of course. But more importantly, new users and potential fans come to your page & engage by way of viewing and voting on entries -- which can add up to some serious reach, exposure, & interaction on your page. Another option for a contest is to consider a two-stage process. This adds the benefit of a initial round of voting and then the need to return to view and vote again in the final round. Entrants want more votes -- so they extend the reach of the contest to their network of friends by asking for their votes. This social sharing by entrants to their friends both (1) increases the contest's reach and (2) functions as a positive referral mechanism. 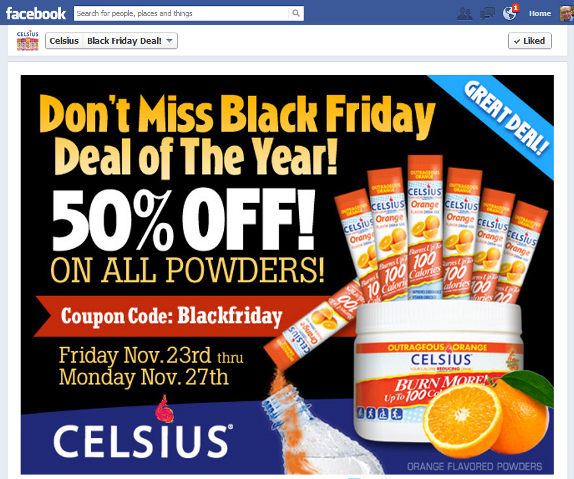 The entrant's invitation to friends to vote adds trust & credibility to the Page -- and to its products & services. Making entrants meet a certain criteria for entry acts as a sifting mechanism. It adds a barrier for those who just enter any promotion because it's easy & they might win, regardless of whether they're interested in your business. Depending on your contest's entry guidelines, this process can serve to qualify or pre-screen entrants as potential customers. 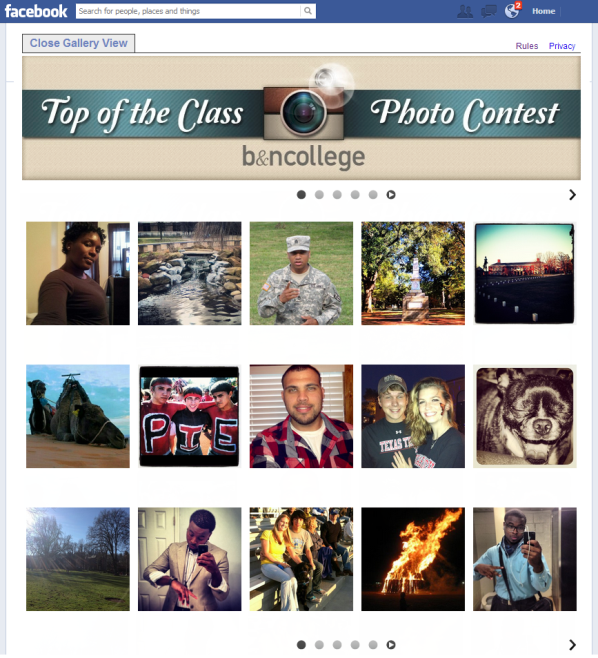 If your promotional rules make it clear that contest entry materials can be used by your company in the future, the contest can be an excellent method of getting user-generated content relevant to your brand -- and useable in future social marketing. 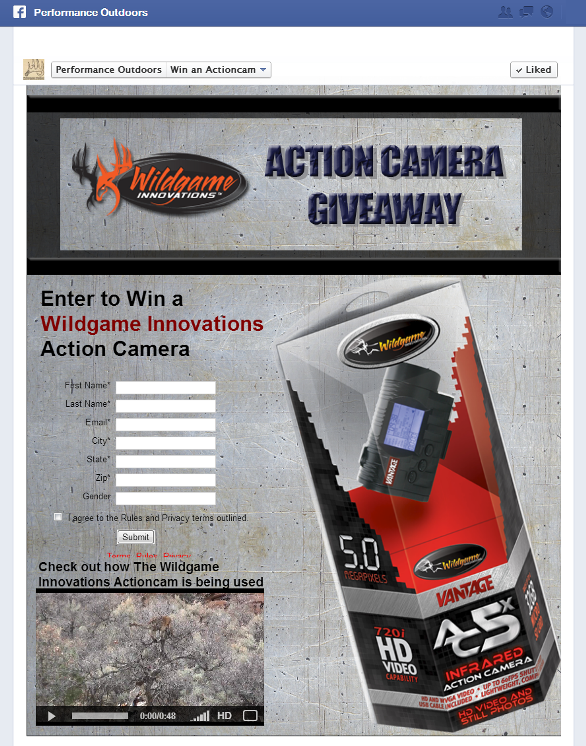 Note: Contests may not work for industries or businesses that don't lend themselves to this type of engagement. For instance, it might be a stretch for a medical practitioner to run a photo contest due to privacy concerns or relevance. A multi-network social promotion is a promotion that involves Facebook and at least one other social media platform -- such as Twitter, Pinterest, or Instagram. Similar to a deal, the fans are asked to accomplish a task and upon completion they are then given access to the deal offer. The difference is that the task is centered around doing something on a different social platform such as Pinterest or Instagram. 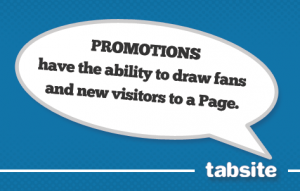 In this case the fan comes to the Facebook page and the promotion is outlined. The fan then accomplishes the task -- such as adding a image to Instagram with a certain hashtag or using a integrated pin tool to pin a image to Pinterest. Some apps allow images to be pulled in from the other social network to appear on the page tab. Otherwise the image can simply stay on the other social network. Either way the fan has engaged with your Facebook page and simultaneously extended information about your brand to another social network. Extends brand to more social locations - This type of promotion can work great for a company whose audience is active on more than one social network -- or for a company seeking to continue gaining Facebook traction but also expand visibility on Pinterest, for example. Image Driven - Images are powerful in social media and a multi-network social promo using images can capture the attention of viewers and invite sharing & comments -- all of which boost visibility & drive referral traffic. Suitable for a wide variety of businesses - A multi-network social promotion can work for apparel firms to credit unions, venues to radio stations and more. Keep the entry form simple -- too many fields will cause fewer entries. Make the prize relevant to your company! -- an iPad is not relevant if you own a craft store. Ensure the prize value equates to your product -- $30 Gift Card for $600 watches is not a motivating deal! Keep the contest moving! -- don't run a month-long contest. The attention span of a Facebook fans is short. They won't keep track of an entry and vote daily for 30 days. 5-7 days is a better span or perhaps 10 days if it's a 2 stage (initial and finalist rounds) contest. Set voting to 1x per day for Contests -- this encourages entrants to get voters to come back each day -- a perfect situation for your page! Know your target audience! 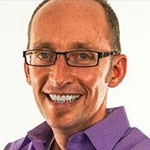 -- is your target using Pinterest or Instagram already? If so, a multi-network social promotion could work well. Ensure the process is seamless -- make sure the promotion is doing the work for you and giving the user the best possible experience. Apps integrating OAuth for login or other integrated means to access the service directly (without the "open a new browser window" issues) are critical. Fans should be able to arrive, understand, and complete in short order. 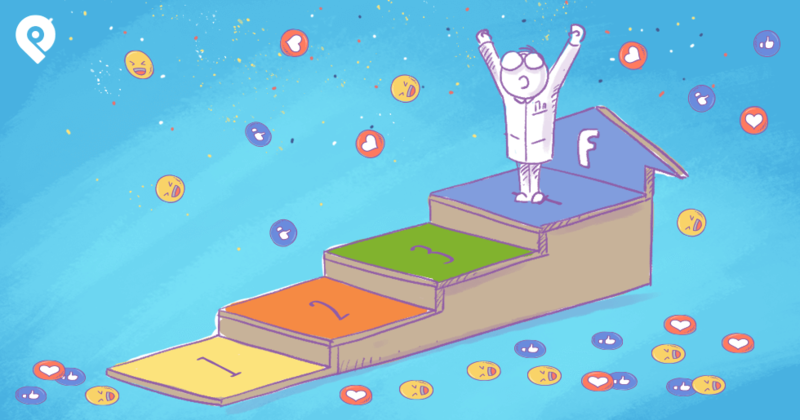 Promotions for Facebook pages offer the power to draw fans in, boost page engagement, and accomplish tangible marketing goals -- like increasing e-mail list numbers. Deals in the form of coupons and discount codes will always be an attractive means to help increase traffic to a page and encourage visitors to begin a fan relationship with the page. While not an end in themselves, contests & offers can be part of a larger marketing strategy and a key piece of helping a business grow their social community. We at TabSite love Post Planner -- and we love Post Planner users even more! That's why for the next 5 days (until April 1) we're offering all Post Planner users a coupon for 35% off TabSite for up to 1 year on monthly or yearly plans. To take advantage of this offer -- and start leveraging the promotion apps mentioned in this blogpost -- just CLICK HERE, sign up, and use the coupon code "PostPlanner"